Please Do Not park in front of the building during afternoon pick up, this is an ambulance route for the dialysis center next door. Please Do Not block the enter/exit of the parking rows/roads, our neighbors need to get in and out. 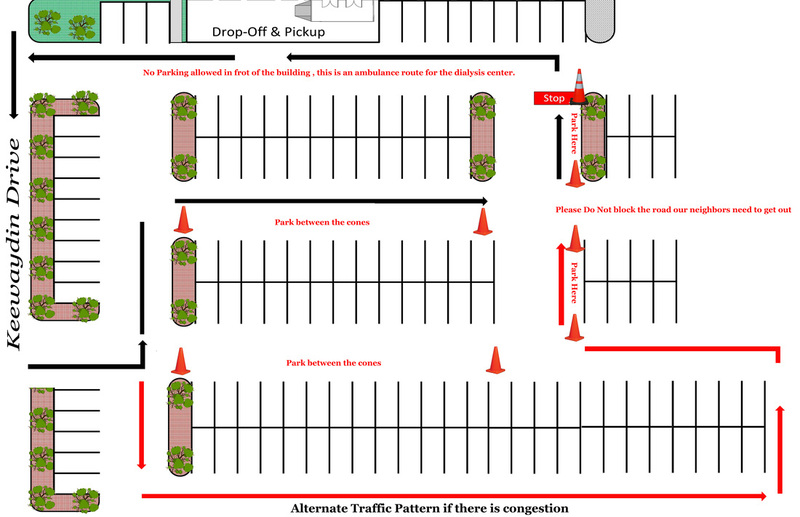 Please park in between the orange cones or in one of our 75 available parking spaces.